At Loughborough Students' Archery Club we have multiple training sessions each week and shoot in both inter-university competitions as well as competitions within the Leicestershire and Rutland County. The skill level of our members ranges from complete beginner all the way up to national squad level, so no matter what, you'll fit in. We have three membership types, designed to suit what you want to get out of the club. The membership types are Beginner, Experienced and Alumni. This membership is for students who have never done archery before or have never been a part of Loughborough Students Archery Club and believe they would benefit from the beginner’s course. The beginner’s course teaches basic archery technique and safety. 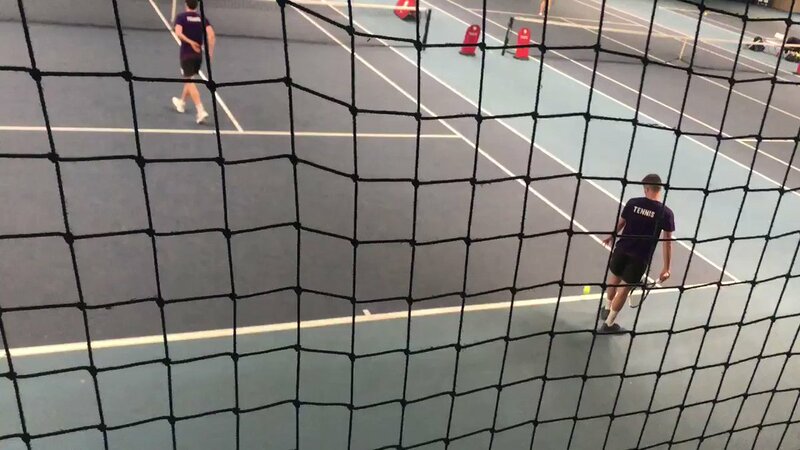 Beginner membership entitles you to the three-week beginner’s course, use of club equipment and 3 training sessions per week in Semester 1 (training held indoors) and 4 sessions per week in Semester 2 (training held outdoors). This membership is for students who have previously been a member of Loughborough Students Archery Club or those who have previously held Archery GB membership. Experienced membership entitles you to 4 training sessions a week Semester 1 and 2 (indoor and outdoor season). It also includes access to blank boss training sessions throughout the year. This membership is for university Staff and Alumni only. This will not include Archery GB membership, and also requires membership through an external club. Please familiarise yourself with the club Constitution and Code of Practice. We are quite unusual amongst AU Clubs as we do not hold trials. You can join the club from Beginner level or you may already have prior archery experience. We welcome everyone who wants to get involved! For up to date session times and dates please see our website. Loughborough Students Archery Club is lucky to have many coaches. There will always be a coach on hand at every session. We are lucky to have a County Coach: Maggie Squires. Maggie has been doing archery since 1978 and has shot competitively for Team GB internationally in field archery since 1992; and represented England in target archery at the Euronations in 2000. Maggie has coached GB athletes in various capacities and began coaching at Loughborough Students Archery Club in 2010. We have two Level 2 Coaches: Ash Cowie and Tom Richardson. Ash is a Loughborough Alumni and shoots competitively for the Leicestershire County squad. Ash has previously helped to run BUCS (British University and College Sport) championships for Archery. Tom is a third year Electronics and Computer Systems Engineering student. Tom started shooting in 2007; he shoots a compound bow and won the junior Cambridge County Champs in 2014. We also have eight Level 1 coaches in the club. Many of our Level 1 coaches are current students. There will always be a coach on hand if you need help with your technique, so please ask them as they are here to help you. Please see the Coaches Page on our website for more information about our Level 1 coaches. Jordanna is studying for a degree in Product Design Engineering and is currently in her third year. Jordanna joined the club in Autumn 2015 as a novice, she shoots a compound bow and shot for the novice and experienced teams on several occasions; she previously served as Social Secretary (2017-18) and is a Level 1 Coach. Felicity is studying for a masters degree in Social Sciences Research (Communication and Media) having graduated with a Bsc in Social Psychology in July 2018. Felicity began shooting in Autumn 2015, she shoots a recurve bow and shot for the novice team on several occasions. This is Felicity's second year as Secretary. Publicising the club with articles in WOW, Label, etc. Mark is studying for a degree in Materials Engineering and is currently in his third year and is on placement this year. Mark joined the club as a novice in Autumn 2016, shooting barebow. Despite being a novice, he qualified for the BUCS Indoor Final in 2017 finishing in 4th place nationally. This is Mark's second year as Treasurer. Organising accommodation for competitions (if staying overnight). Arthur is studying for a PhD in Physics, having completed his undergradute degree in 2016. He has previously served on committee as Team Captain 2011-12, Equipment Officer 2012-13, 2015-16, Tournaments & Records Officer 2014-15 and Chair 2016-18. Arthur shoots recurve and has represented the club on many occasions including at the 2016 BUCS Outdoor Champs where he won an individual silver and team bronze medal; he also shoots for the Leicestershire and Rutland County Team. Alys is studying for a degree in Product Design Engineering and is currently in her third year. Alys joined the club in Autumn 2017 as a novice, she shoots a recurve bow and shot for the novice team at every BUTTS leg finishing with two bronze medals; and the BUCS Northern Qualifier.